Good morning. I hope everyone had a lovely weekend. I really did. Since my kids have been gone for two whole weeks, visiting with my sister and brother in law for one week and this week they are spending with my parents, my husband and myself and been taking it easy and enjoying a drama free house. Now my kids are 14 and 11, so it isn't like we have to really keep an eye on them like they were two, but lets just say that two boys at this age can still carry on and create drama like a bunch a little ones!!! Saturday we spent the day at Virginia Beach and enjoyed a quiet dinner at TGI Friday's. Yesterday was spent here at the house all by little self. Hubby went to a baseball card show with his Dad, where he got Johnny Bench's and Pete Rose's autograph. He was so excited to come home and show me his new toys for his room! (like a kid in a candy store, might I add)! 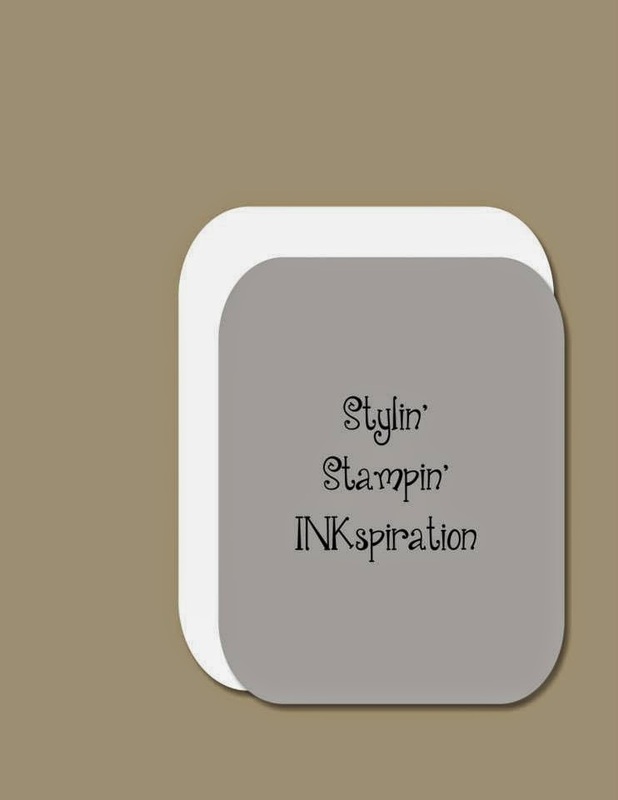 Today over at Stylin' Stampin' INKspiration its the third Monday and you know what that means...yep, its card sketch challenge time. Todays card sketch is Project Life inspired. I hope you get inspired and decide to play along with us. We can't wait to see what you create! So after putting together my Project Life album, I had lots of cards left from the Everyday Adventure collection, so this sketch was the perfect time for me to use them up. I pulled out one that just said "happy" on it and paired it with a solid patterned card, perfect for a background. In this case a polka dotted one. I used the Endless Wishes stamp set to stamp the word "birthday" at the bottom to create the perfect cute and simple birthday card. I pulled out the metal arrow clip and wooden arrow from the Everyday Adventure accessory kit. I love how these kits really do coordinate well together. The finishing touch was adding the brights candy dots and attaching a cute twine bow at the top. On the inside I added a simple border strip that also came in the accessory kit. I hope you have gotten INKspired to go create a card using our sketch. Don't forget to come back and link it up to our main blog challenge site and go see what our other design team members have created. I'm sure you are gonna love theirs too! We must have been on the same crafty wave length ;) Love the fun embellishments! See you soon!!! I love this!! reminds me of a neon chalk board .... super cute!! and i love how you also show the inside. i need to remember to do that more often!! cute card!